Implementing the clinical applied science of psychoneurophysiology is well suited to integrative mental health practice. Bio/Neurofeedback practice offers more than treatment or training, but can be beneficial to contributing to psychological profiling through broadening understanding of psychopathology. Psychoneurophysiological evaluations are integrated into a comprehensive assessment program (CAP), which is a 5-day intensive evaluative program aimed to provide an inclusive and in-depth psychiatric, psychological, and medical assessment. The psychoneurophysiological evaluation, as part of the CAP process, comprises a mini-qEEG and psychophysiological stress evaluation. The purpose of the present session will focus on describing the process of obtaining psychoneurophysiological functioning, how its data are disseminated to describe a psychophysiological perspective of overall patient mental health quality of life, and the role such information serves as one of the essential components of a multidisciplinary evaluation. Case studies will be used to illustrate the role of psychoneurophysiological evaluation in integrating clinical findings, through the lens of how the CNS and ANS nervous systems underscore psychopathology and recovery, and how this work is key to integrating the multifaceted nature of psychological profiling. 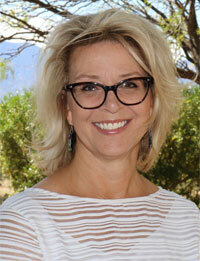 Antoinette Giedzinska is the Director of Behavioral Medicine at Sierra Tucson, where she oversees the psychology department, TMS program, Bio/Neurofeedback department, and the Outcomes initiative. During 2009, she created and implemented the bio/neurofeedback program into the Sierra Tucson treatment process, utilizing integrative psychoneurophysiological therapeutics delivered by a talented team of BCIA professionals. Beginning in 2013, she spearheaded Sierra Tucson’s outcomes research platform with the aim of assessing patient progress in the short and long term, post-discharge. Dr. Antoinette received her PhD in Clinical Psychology from the University of Southern California, where her training emphasized behavioral medicine, clinical research, and neuropsychology. She has authored several scientific publications addressing psychological correlates of cancer quality of life, program development, and patient treatment decision-making. Her enthusiasm as a scientist/practitioner is not only to support and educate patients toward resiliency, quality of life enhancement, and stress reduction and management, but also to continue one of her passions in life: to actively advance the field of integrative mental health.